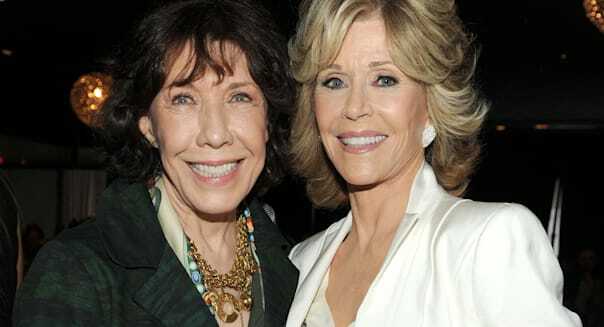 Frank Micelotta/Invision/The Associated PressIn a new Netflix sitcom, Lily Tomlin (left) and Jane Fonda play former foes who unite when their husbands desert them. An identity theft specialist lost its identity, a soda maker teamed up with an old-school appliance brand, Walmart made a play for video games, Netflix announced a new show and yet another online service upped its subscription price. Here's a rundown of the week's smartest moves and biggest blunders in the business world. The leading video service keeps building its digital catalog of original content. Netflix announced on Wednesday that it will be the home of "Grace and Frankie," a new sitcom starring Jane Fonda and Lily Tomlin that's partly the handiwork of "Friends" creator Marta Kaufman. The first season will debut next year. We naturally won't know until we dive into the 13 half-hour episodes come 2015 if the show is any good, but that's also the point of Netflix beefing up its portfolio of first-run shows introduced exclusively on Netflix. The world's largest retailer is getting into the video game resale business. Walmart announced on Tuesday that it will begin accepting trade-ins at most of its stores next week. The discounter will swap the games for in-store credit. It will then send off the trade-ins to get refurbished. It will start offering the pre-owned wares later this year. The market is playing this out to be a big hit for GameStop (GME), but let's not kid ourselves. GameStop's sales of pre-owned games fell sharply in 2012 and have gone on to decline in each of 2013's first three quarters. Walmart won't make things easier, but this was already a fading market. Too many new systems rely on digital delivery, making physical discs and their eventual resale obsolete. Walmart's late to the game. Making soda at home is as popular as ever, and niche leader SodaStream is getting a boost with KitchenAid introducing a new soda maker that uses SodaStream's technology to fizz up tap water. KitchenAid's Sparkling Beverage Maker will hit the market in June with s a suggested retail price of $250, well ahead of SodaStream machines that can be had for as little as $80. However, this is still a big win for SodaStream because it doesn't make much of a profit on the soda makers. The real margins are in the CO2 refills and licensed soda syrups. Having KitchenAid promoting its stylish design will mean fewer inventory hassles for SodaStream with the starter kits, something that destroyed its profitability during the holiday quarter. SodaStream will merely cash in on the uptick in CO2 and flavor sales from KitchenAid buyers. Intersections seems to be at the right place at the right time -- but it's not. The provider of identity theft and risk management solutions posted another quarter of disappointing results this week. Revenue fell 14 percent for the quarter, which is easy to imagine with total subscribers shrinking from 4.5 million to 2.9 million through all of 2013. Identity theft is a big deal, but Intersections sells its safeguarding plans primarily through banks and other financial institutions that have come under regulatory fire for the way they tack on premium services to their banking customers. Guidance calls for revenue to decline again in 2014. With Intersections barely breaking even in its latest quarter, it leads one to wonder if it can continue to keep paying its generous dividend. The leading music service is hopping on the trend of popular online services raising prices. Pandora's ad-free offering will go from $3.99 a month to $4.99 a month for new users in May. %VIRTUAL-article-sponsoredlinks%Higher prices isn't something that's typically applauded in this weekly column, but Pandora's going about it the right way. It will grandfather in the folks still paying $3.99 a month for now. The new rate is only for new or returning subscribers. That's important because it will likely keep the folks paying $3.99 a month now from canceling Pandora One. The vast majority of Pandora users put up with ads to enjoy the service for free, and this move may motivate some freeloaders to become premium members to take advantage of the $3.99 a month rate before it goes up.